In this post we talk about 5 aspects to take into account to choose a nautical school to carry out the approved practices. We know that the price is important, but you have to look at the value for money. It is the key to find good sailing practices. Sometimes the cheap turns out to be the expensive. Many students come with complaints from other schools because they have only taken into account the price. Ask for the type of boat. It is very important that it is in a good condition so that you can carry out your practices without any inconvenience. Ask for the degree and experience of the skipper. It’s basic. It is very different to learn from someone with many miles navigated and with many practices thaught than with someone who has just started. The whole agenda should be carried out. The student must be informed of the agenda that will be made during the different exits and thus be able to require the instructor to be fulfilled. Ask about the number of students that will be out that weekend. 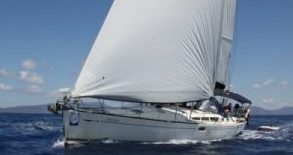 It is not the same to leave with 10 students in a sailboat of 12 meters than with 7 students in a sailboat of 15 meters. You dont have to feel like sardines! And with fewer students, more maneuvers can be repeated more times. Hours of practice. It is very important that there are no less hours than the norm, i.e, 16 hours of motor and sail and 4 + 8 hours of radio. If there is an inspection and have been carried out less than those marked by the Generalitat, they will not be valid! That never fails. If a friend recommends a school and is happy with it and meets the above requirements, that is the best!